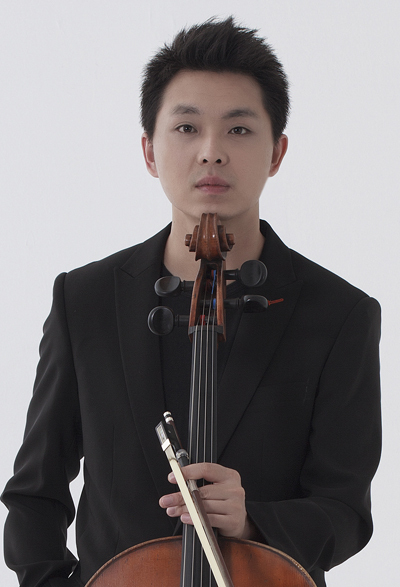 An exclusive Universal Music China Artist, Li-Wei Qin has appeared all over the world as a soloist and as a chamber musician. After achieving great success at the 11th Tchaikovsky International Competition where he was awarded the Silver Medal, Li-Wei has since won the First Prize in the prestigious 2001 Naumburg Competition in New York. “A superbly stylish, raptly intuitive performer ” (Gramophone Magazine, January 2015) was the description of the cellist’s Elgar and Walton concerti recording with the London Philharmonic. During the 15/16 season, Li-Wei will make his debut with the Finnish Radio Orchestra/Lintu, the Vienna Radio symphony Orchestra/Rabl, the Malaysian Philharmonic/Ashkenazy. He will also appear with the Melbourne Symphony/Sir Andrew Davis for their residency in Shanghai as well as China Philharmonic 2016 European tour. Other engagements including returns to the Queensland Symphony, Shanghai Symphony, NCPA Symphony and Auckland Philharmonic Orchestras. Two times soloist at the BBC Proms in London’s Royal Albert Hall, Li-Wei has enjoyed successful artistic collaborations with many of the worlds great orchestras including all the BBC symphony orchestras, the Los Angeles philharmonic, London Philharmonic, the Rundfunk-Sinfonieorchester Berlin, the NDR-Sinfonierorchester Hamburg, the Konzerthausorchester Berlin, the Basel Symphony, the Prague symphony, the Osaka Philharmonic, Hong Kong Philharmonic, China Philharmonic, the Sydney Symphony and Melbourne Symphony among many others. Leading conductors with whom he has worked include Marek Janowski, Jaap Van Zweden, Jiri Belohlavek, Jan Pascal Totelier, Hans Graf, Yu Long, the late Machello Viotti and the late Lord Menuhin. Li-Wei has also appeared with chamber orchestras such as the Kremerata Baltika, Sinfonia Vasovia, the Munich, the Zurich, the Australian Chamber Orchestras. Born in Shanghai Li-Wei moved to Australia at the age of 13, before accepting scholarships to study with Ralph Kirshbaum at the Royal Northern College of Music, Manchester and with David Takeno at the Guildhall School of Music and Drama, London. He was invited to join the BBC 'New Generations' scheme in 2001 and in 2002, Li-Wei received the Young Australian of the Year Award. Other major invitations included appearances at both the 2008 Beijing Olympics (New Zealand Symphony), 2012 London Olympics and the Davos World Economics Forum (Basel Symphony Orchestra). Prior to teaching at the YST Conservatory, Li-Wei was a professor of cello at the Royal Northern College of Music, Manchester. He is also a guest professor at Shanghai and Central Conservatory of Music in China. Li-Wei plays a 1780 Joseph Guadagnini cello, generously loaned by Dr and Mrs Wilson Goh. Since winning first prize in the Cantelli Conducting Competition at the age of 26, Eliahu Inbal has enjoyed an international career, conducting leading orchestras worldwide. Over the years, he has been appointed principal conductor of the Frankfurt Radio Symphony Orchestra (hr-Sinfonieorchester), Teatro La Fenice in Venice, RAI National Symphony Orchestra, Konzerthausorchester Berlin, Czech Philharmonic and the Tokyo Metropolitan Symphony Orchestra. During his tenure with the hr-Sinfonieorchester (1974-1990), whose honorary conductor he remains today, Eliahu Inbal distinguished himself as an outstanding musical personality of our time. The charismatic Israeli conductor, who lives in Paris, received international acclaim for his interpretations of Mahler and Bruckner on a number of award-winning recordings (Deutscher Schallplattenpreis, Grand Prix du Disque) and was the first to record the original versions of Bruckner’s symphonies. He has received special recognition for his interpretations of Dmitri Shostakovich’s symphonies in particular. 2016 marks Eliahu Inbal’s 80th birthday. Throughout the year, he features as a guest conductor with the Stuttgart Radio Symphony Orchestra (SWR) in Basel, Vienna and at the Spring Festival in Monte-Carlo, conducts Bruckner’s Symphony No. 9 with the Orchestre Philharmonique de Radio France at the Philharmonie de Paris, Symphony No. 4 at the Konzerthaus Berlin and the Alte Oper Frankfurt, and Symphony No. 8 with the Orchestra del Teatro la Fenice. He also travels to Asia, where he is a frequent guest with the Tokyo Metropolitan Symphony Orchestra in his role as Conductor Laureate, on tour with the Konzerthausorchester Berlin, and to conduct the Seoul Philharmonic Orchestra. His operatic engagements have taken him to opera houses in Paris, Glyndebourne, Munich, Stuttgart, Zurich and Madrid, among others. He celebrated the 2013 Wagner anniversary year with highly acclaimed performances of Parsifal at the Vlaamse Opera and Tristan and Isolde at the Festival de Opera de A Coruña (International Opera Award 2014). Eliahu Inbal has been awarded the national Italian critic’s prize Abbiati et Viotti for his exceptional interpretations of Wagner’s Ring with the RAI National Symphony Orchestra. In February 2016 he returned to A Coruña to conduct a concert performance of Richard Strauss’ Salome. Eliahu Inbal’s extensive discography includes the complete symphonic works of Berlioz, Brahms, Bruckner, Mahler, Ravel, Schumann, Shostakovich, Scriabin, Stravinsky, Richard Strauss, and the Second Viennese School. He has recorded these works with the hr-Sinfonieorchester as well as the Philharmonia Orchestra London, Orchestre National de France, Vienna Symphony, London Philharmonic, Orchestre de la Suisse Romande and the Czech Philharmonic. His performance of Mahler’s Symphony No. 10 (completed version by D. Cooke), part of the Royal Concertgebouw Orchestra’s Mahler cycle, was also released on DVD. Born in Israel, Eliahu Inbal studied violin and composition at the Jerusalem Music Academy before completing his studies at the Conservatoire National Supérieur in Paris on the recommendation of Leonard Bernstein. His teachers there included Louis Fourestier, Olivier Messiaen and Nadia Boulanger. He was also greatly influenced by Franco Ferrara in Hilversum (Netherlands) and Sergiu Celibidache in Siena (Italy). In 1990, the French government named Eliahu Inbal an officer of the Order of Arts and Letters. In February 2001 he was awarded the Golden Medal for Merit from the city of Vienna. He received the Goethe Badge of Honour from the City of Frankfurt and the Order of Merit from the Federal Republic of Germany in 2006.